Floor cleaning is by no means the most complex cleaning chore, but doing it properly takes time, effort and resources. Our professional floor cleaning at Cleaners Liverpool is the ideal alternative to doing everything on your own. The service is quick, efficient and affordable – suitable for both private and commercial properties. Clean floors are not only easy on the eye, but also help maintain better standard of indoor hygiene. Our professional floor cleaning service can be applied effectively on all types of non-hard flooring surfaces. 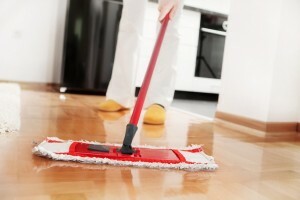 For specialised cleaning of hard floors, please refer to our hard floor cleaning service instead. The cleaning products and materials we use will not affect the appearance of grip properties of flooring surfaces, or otherwise damage or alter their visual or physical characteristics. Most people would be well familiar that each flooring surface requires a specific cleaning approach and application of the correct products in the right order. This ensures optimal results, no resource waste and reduced cleaning time. However, properties fitted with different flooring solutions present somewhat of a cleaning challenge, as each of them needs special attention. Our professional floor cleaning service in Liverpool provides the solution – the cleaners we have on the job are well trained and highly experienced individuals who will clean each type of floor using the correct products so there is no risk of damage or substandard results. Not having to lug heavy water buckets, and mops across the property is indeed a great convenience for customers. As stated, our professional floor cleaning as well as our hard floor cleaning services aim to deliver optimal efficiency and convenience, this is why the frequency of cleaning sessions depends entirely on customer preferences and availability. One off floor cleaning treatments – ideal for when looking to freshen up the place in general, or when looking to prep the house or office for an event. Our cleaning teams will go about their work with professional pace and efficiency and be out of your way as soon as possible. 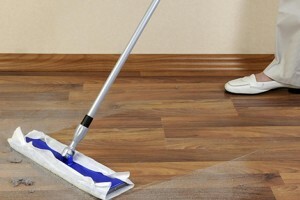 Fixed schedule floor cleaning visits – the regular cleaning service is ideal for busy business owners or private customers who don’t have the time and means to invest in lengthy and tedious floor cleaning chores, as mentioned the frequency of cleaning visits depends entirely on customer preferences. Our specialised floor cleaning in Liverpool is not only a time saver, but also a money saver. We stick to fair and reasonable pricing which doesn’t include any hidden fees or other such nonsense. Using our floor cleaning service also saves people various side expenses associated with ongoing floor cleaning. If you prefer our cleaners can bring their own cleaning products and materials, making the whole process more efficient and affordable for customers. Floor cleaning can be requested as standalone service, or in combination with any other cleaning treatments we have in store. Combining floor cleaning with specialised dry or steam carpet cleaning is an ideal solution for both private and business customers.